Graded VG/EX 50 by SGC. 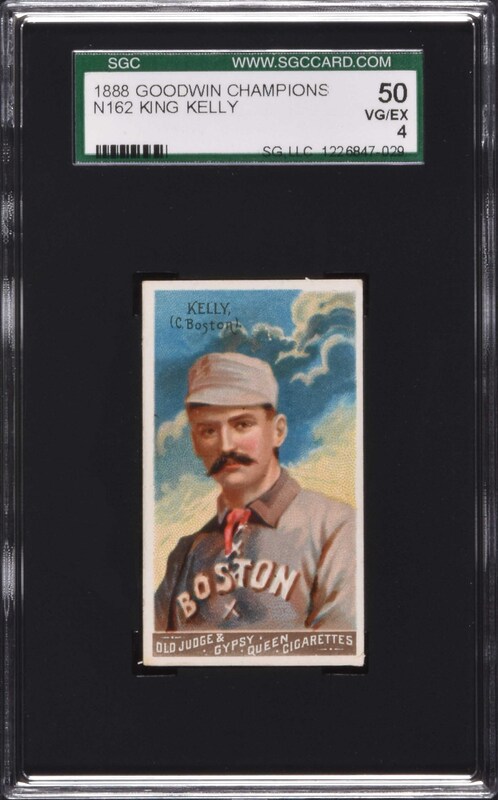 Presented is a very attractive N162 example of Hall of Famer Mike "King" Kelly, one the key cards from this very popular and colorful set of fifty, issued by Old Judge and Gypsy Queen Cigarettes. When advanced collectors discuss their favorite cards and sets of all time, the rarity and beauty of N162s usually puts the issue near the top of any list. This card of Mike Kelly in particular is universally recognized as one of the great classics of all 19th-century baseball cards. This is a beautiful card! The striking example is bright and clean, with flawless colors, four strong corners, and outstanding centering. There is a corner crease on the lower right and paper loss along the bottom edge of the reverse. 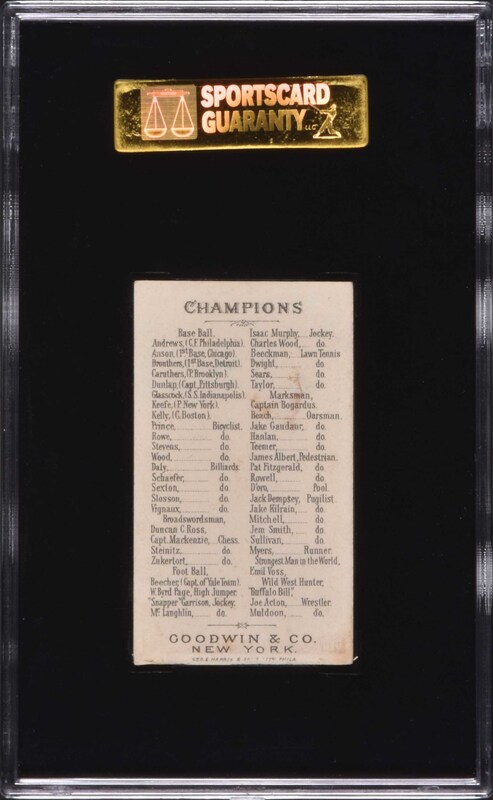 This is a simply magnificent mid-grade example of one of the most desirable of all 19th-century baseball cards. Reserve $1,000. Estimate $2,000+.